If you or someone in your family has been in need of a new computer – this is a really good option! Please note, this is for a refurbished Dell Optiplex Tower computer. However, we think this is a really good value (even for refurbished) especially if you are looking to replace another computer. This might be the perfect option too for a family computer that kids use or for school work, etc. The funny thing is that we bought one of these new 8 years ago, and it is STILL our family computer and the one we use to print coupons, kids to practice typing or any other schoolwork the kids have on the computer. Tanga the Daily Deal site is offering a amazing deal! 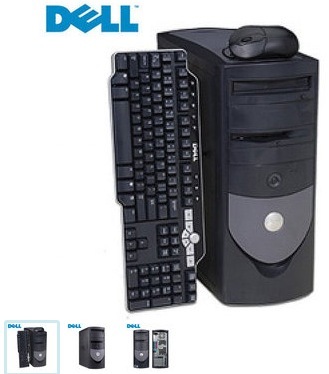 They are selling Dell Optiplex Tower PC – Intel HT 2.8GHz, 1GB DDR2, 40GB HDD, CD for only $69.99 plus $9.99 for the shipping = final is $79.98 shipped! It also includes a 60-day warranty. This system only includes the tower, not the monitor, keyboard or mouse. You can add a keyboard/mouse combination for $9.99 if you need them. So if you already have or know someone that has a monitor laying around, you can get quite a deal on a family computer. We have also seen some awesome deals on computer monitors too and there are some affordable options.